Mashed, baked, twice baked – any way you make them, potatoes are a family favorite. The good news is potatoes don’t always have to be a side dish. 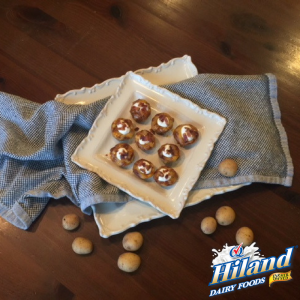 Turn these golden gems into a fun appetizer that’s easy to assemble and will be a hit at your next party buffet. 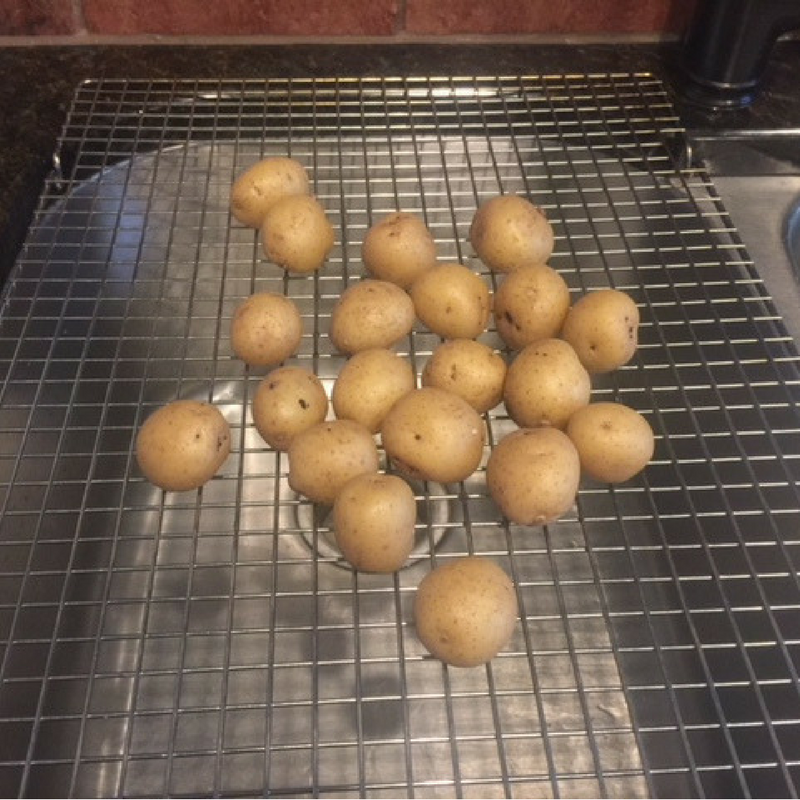 Add potatoes and boil until fork-tender. Remove from water and let cool. 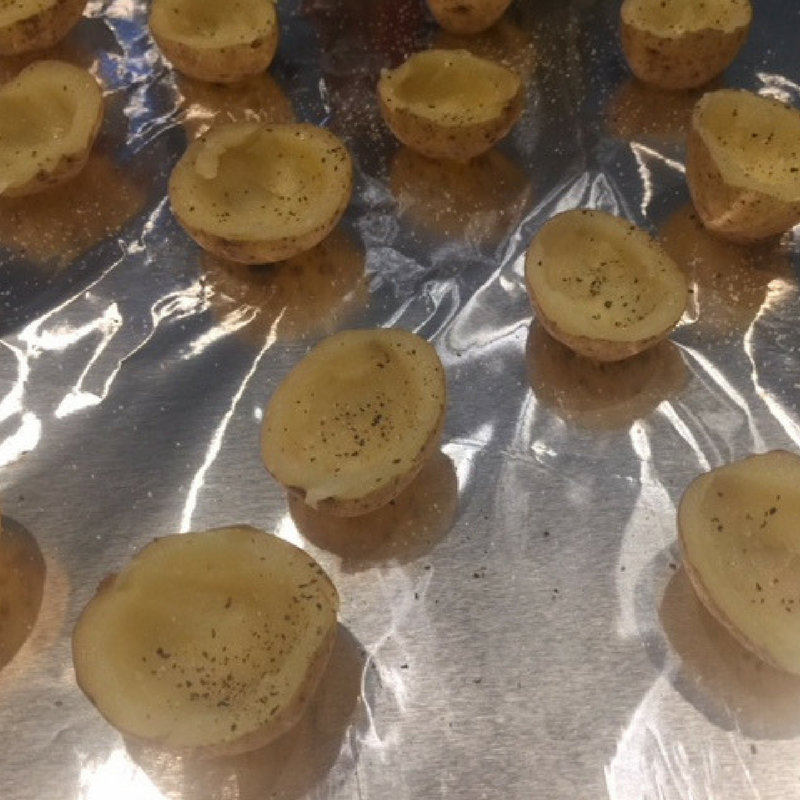 While the potatoes are cooling, preheat the oven to 400 F.
After potatoes have cooled, cut each in half and then cut a small slice off of the bottom so the potato can sit upright without rolling over. 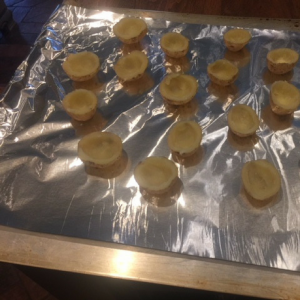 Scoop out the pulp, leaving a thin layer of potato on the skin of each potato half, and place on a baking sheet lined with aluminum foil. Sprinkle the inside of each potato with salt, pepper and garlic powder. 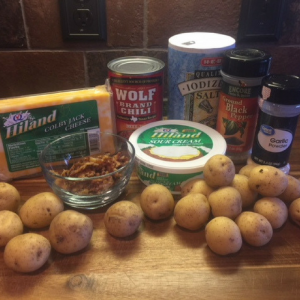 Fill each potato with chili and top with cheese. Remove from the oven and top with sour cream and bacon. 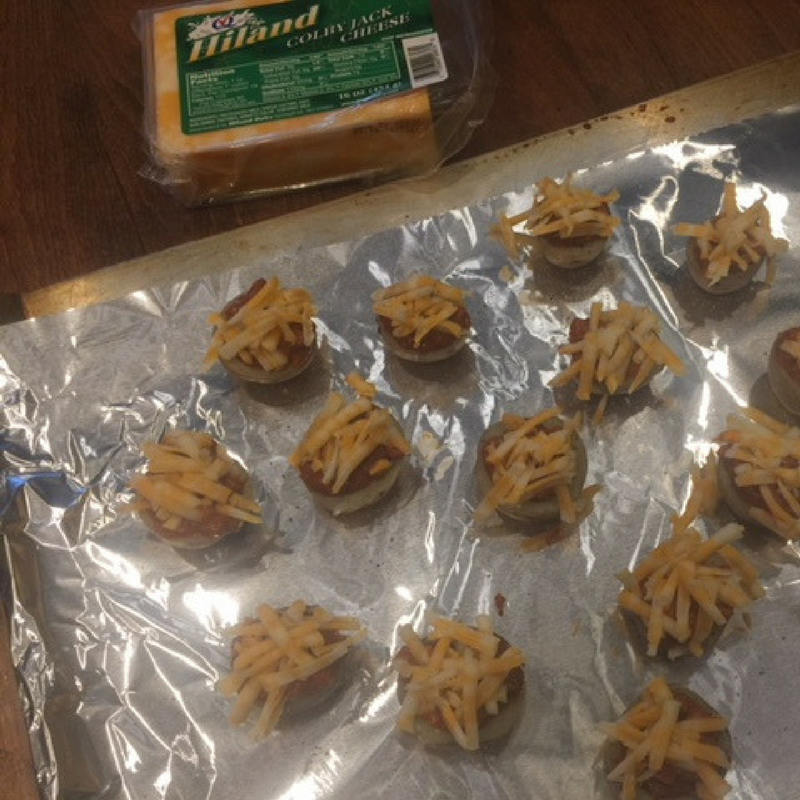 Tip: These are best served warm. 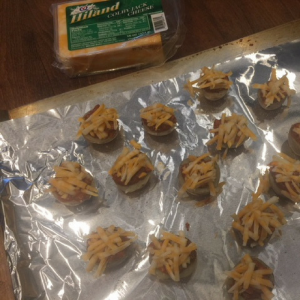 Hiland Dairy Sharp Cheddar Cheese also makes for a tasty topper.